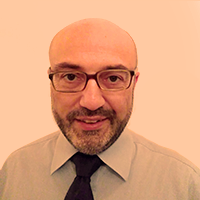 Stefano's main duty is to provide high-level consultations to prospects and customers who are looking for solutions to a broad class of enterprise application problems which can be addressed through the WSO2 platform. He is especially focusing in API management, microservices, and agile integration. He has more than 20 years of working experience, almost exclusively in the sector of EAI, ESB, B2B integration, SOA, and API management. He led several projects throughout Europe working for big finance and telecom enterprises.